Put your mind at ease this Christmas season with these quick and easy entertaining ideas, including a simple recipe for delicious olive tapenade. Thank you to Uncommon Goods for collaborating on today’s post and helping me share some of our favourite holiday entertaining ideas. As always, opinions are 100% my own. Most of us lead busy lives (particularly around the holidays), making it far too easy to get wrapped up in the “small stuff” (shopping, decorating, baking and everything else) that goes along with Christmas. I tend to immerse myself in all the season has to offer, but the one thing I felt I was missing out on so many years was sharing some good cheer with our nearby family and friends. If the house wasn’t decorated perfectly or I hadn’t met my quota of baked goods tucked away in the freezer (oh my! ), or too much stuff was still on “the list,” I’d simply dismiss the idea of having guests over before Christmas. So silly! I think what turned the tables for me was taking the whole idea of entertaining down a few notches from where I had built it up in my head. I realized I had made it way too complicated and all we needed was great conversation and interaction with the people we adored. No fancy appetizers or cocktails (unless I was feeling inspired and ambitious), just honest-to-goodness simple food and drinks that required little preparation but held their own on taste and style. Are you with me? What I’m talking about is so easy and simple that you can pull it off in a moment’s notice! All it requires is having the right supplies and tools beforehand. To start with, I suggest stocking your pantry and fridge with a few essentials. The list of food items we always like to have on hand during the holiday season is olives, cheese, grapes, dried figs, nuts, savoury jam, cured meats, artisanal bread and crisps. Occasionally, I purchase jarred tapenade or antipasto, but it’s super easy to throw your own together (we’ll get to that later). For drinks, we stock our beverage fridge with wine, prosecco and a variety of beer. We also have soda water, lemons, limes and cranberry juice on hand, as well as a few types of hard liquor. I find that most people are flexible when it comes to beverages, so don’t worry about having everything under the moon! Once your kitchen and bar are stocked, it’s time to make sure you have beautiful serveware. I find that how you display your food is just as important as what’s being served. We all eat with our eyes first, and arranging simple food on a handmade bread and oil board like the one found here is so chic! Another idea for presenting food is using a slate board where you can write the names of each variety of cheese with soapstone chalk. It literally takes minutes to throw together, but gives the personal touch your guests will appreciate. 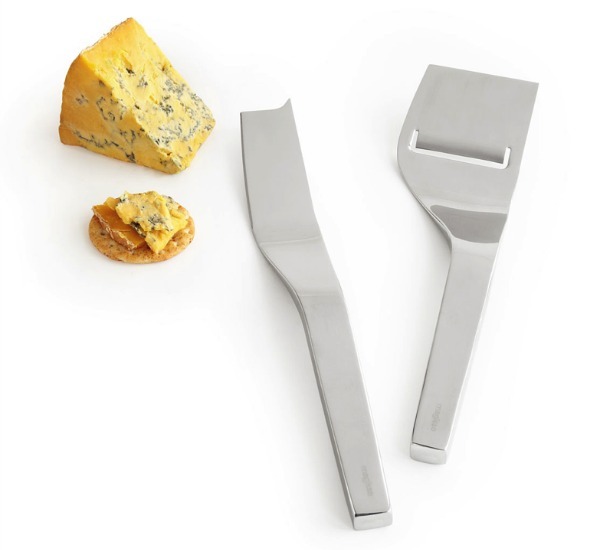 Having the right utensils, like this beautiful cheese knife and slicer set, make serving a whole lot easier. And, of course, appetizer plates and/or napkins for each of your guests is a must. I absolutely adore these love letter napkins! Now that the food is taken care of, it’s time to think about barware. 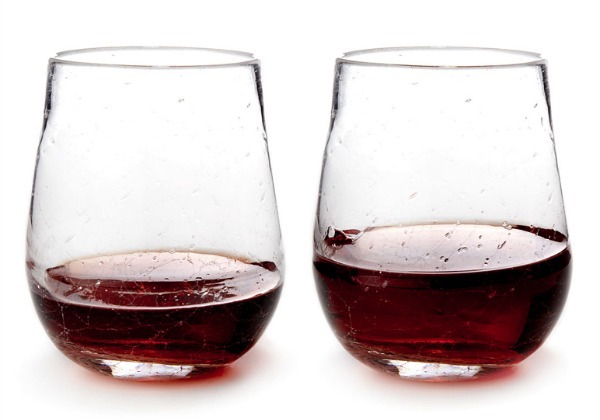 Do you have good quality wine and cocktail glasses? Keep in mind that none of these supplies need to be complicated or expensive. You could even mix a few new items with some thrift shop finds, or collect what you need over time. 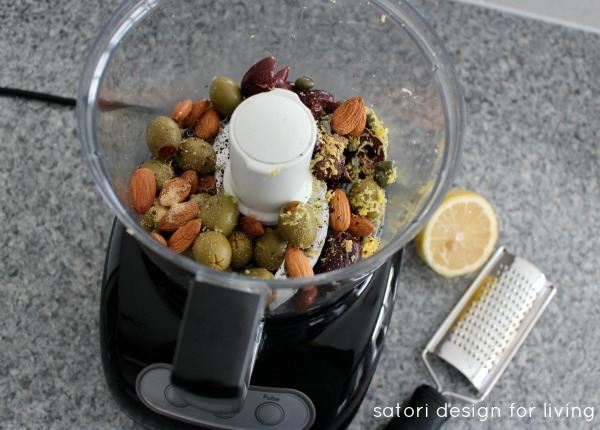 Place ingredients in a food processor and pulse until the desired consistency is reached. Store in an airtight container in the fridge for up to 3 days. We like to eat this tapenade on bread or crisps with a layer of cream cheese or goat’s cheese. How about taking a jar of tapenade with you to your next party? 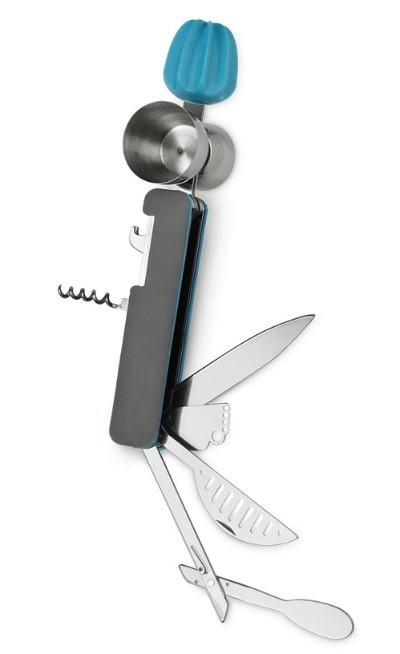 If you’re pressed for time, I suggest looking at more “Gifts for Her” ideas found here. You can find out more about the kitchen and bar items I’ve suggested for holiday entertaining at the Uncommon Goods website. If you’re looking for creative products made with quality and sustainability in mind, you’re in for a real treat! You can also read about the company’s dedication to product designers and artists, handmade goods, giving back programs and environmental causes. Now that’s the type of place I like to shop at! You? 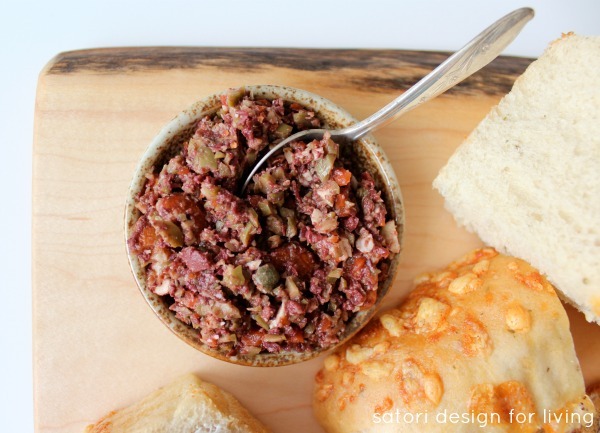 Whip up this easy and delicious olive tapenade for the holiday season! Are you an avid entertainer or do you tend to put it off? When you do host a get-together, what’s your go-to food or drink item that’s easy? 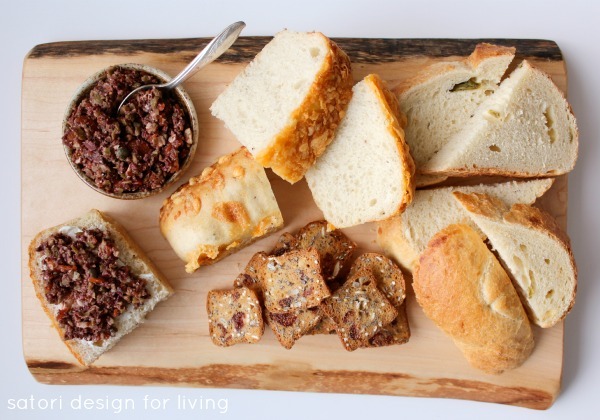 Oh Shauna – that olive tapenade recipe looks soooo good. I’m going to make this for sure!! I liked your entertaining picks too, those napkins are too cute and I like the cheese tray idea – that’s a good one! Thanks Shauna!! Thanks Heather! Yes, Uncommon Goods has some really cool stuff. I want those napkins! Great recipe, and some really good tips. Thanks for inspiring! We used to entertain a lot, but now it seems like we’re both so busy. It’s so important to make the time. Once you “let go” of the fact that everything needs to be perfect, you’ll do it! Ohh that tapenade sounds delish, thanks for sharing the recipe. And I so agree it doesn’t have to be perfect, just do it! Couldn’t agree more! Happy holidays Lisa! That’s really what’s important, isn’t it! Thanks for stopping by! This looks so good, Shauna! I love all the ideas you’ve shared, and can’t decide which is my favorite! 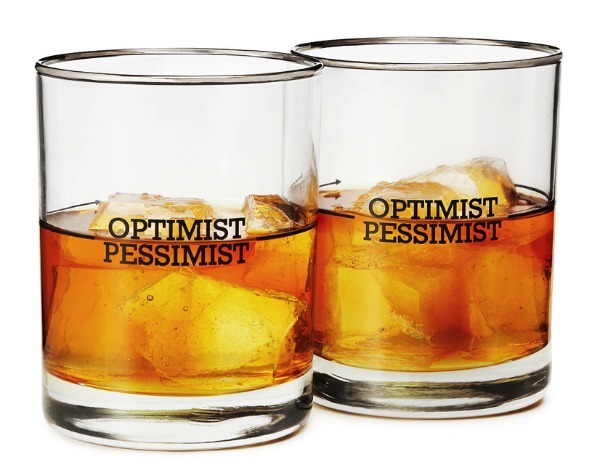 The napkins are really awesome, but the optimist/pessimist glasses are just so much fun! 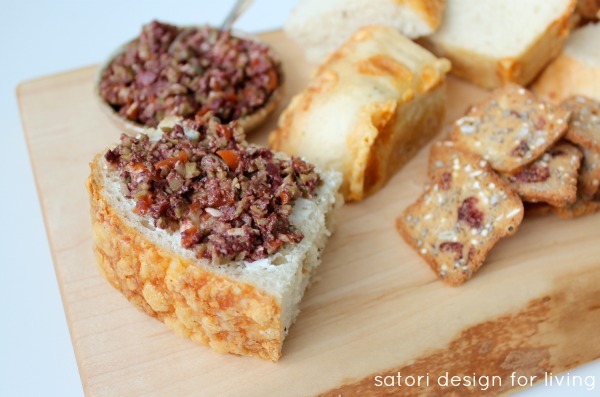 OH I love tapenade – it’s so great served with cheeses and crackers! And I agree, get togethers are so much better when we take away the stress of trying to make everything so fancy! P.S. 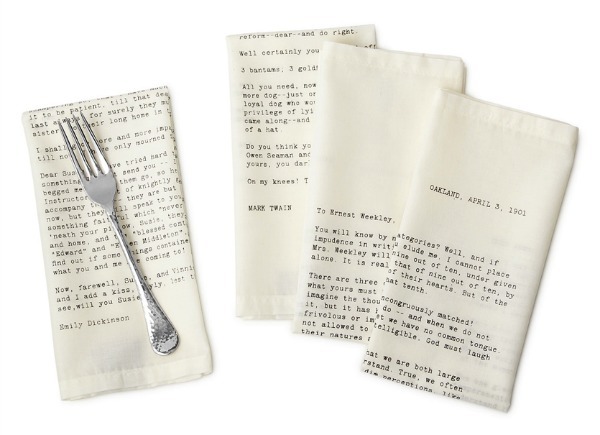 How great are those love letter napkins?! I love Uncommon Goods – it’s such a fun shop! You’ve picked some gorgeous pieces, and I love that bread board – it’s gorgeous! Can’t go wrong with cheese and bread -totally agree with you there. I love the napkins, too, they’re so sweet. Can I come over for some of that? It looks amazing… I’ve been looking for a board like that, off to check it out! Thanks for sharing that recipe, pinned! I love tapenade and your recipe looks scrumptious! I do one that is made with cream cheese that is delicious, it adds another level.